By Dr. Rowan Gilmore, CEO and Managing Director, EM Solutions Pty Ltd.
Satellite Communications-On-The-Move (COTM) terminals that offer communications anywhere, anytime, while moving, have now become fairly commonplace and they range in size from tens of centimeters to several meters. Flat panel antennas at Ka-band frequencies even hold the promise of providing a low profile solution to broadband communications, but their difficulty in meeting antenna radiation specifications without waiver, and to maintain their gain off-axis, means their data throughput, power, and scope of application will always be limited. Mission-critical communications requires guaranteed antenna gain, satellite access, clear line of sight regardless of weather, and robust electronics. By being the first mobile terminal to use a unique “monopulse” beacon tracking system, EM Solutions’ military Ka-band Sat-tracker COTM terminal was highly innovative in achieving exceptional pointing accuracy, and provided good broadband communications availability even under the most rugged off-road vehicle movements. However, its 48cm antenna size has proven to be smaller than desired by the network operators, as the antenna requires more satellite resources to achieve broadband communications than would otherwise be necessary with a larger antenna. The system is also unusable when the military WGS system is congested in Ka-band, or when rain fade is present. Both of these problems have been overcome with EM Solutions new Cobra series COTM terminals. Cobra emerged after several design iterations as a result of field experience, and now in its third generation, provides a common stabilized platform capable of accurately pointing the antenna while on the move in both land and maritime environments. The greatest innovation in the new Cobra multi-band terminal is an antenna feed system that supports simultaneous operation on three different frequency bands—without any manual intervention to mechanically interchange components. This is necessary to allow standard operation at military (WGS) Ka-band, with interoperation on WGS X-band in the case of rain fade, or fall-back (by software command) in the case of congestion to operation on the Inmarsat GX satellite system. Other innovations in Cobra include a larger 1 meter antenna size, while the common stabilizing platform retains the flexibility to fit a smaller antenna if required. The larger antenna reduces the satellite power required by a factor of over four (compared with the original) to achieve the same data rate. This has been accomplished while maintaining only a marginally greater footprint, so the terminal can be used on a range of vehicles, including off-road troop carriers and small patrol boats. At the same time, re-engineering effort has been applied to reduce cost, top weight, and overall terminal volume consistent with the other operating constraints. Although much larger maritime terminals with dual X-band/military Ka-band capability already exist, none offer fall back to commercial Ka-band in the case of congestion on the WGS system. 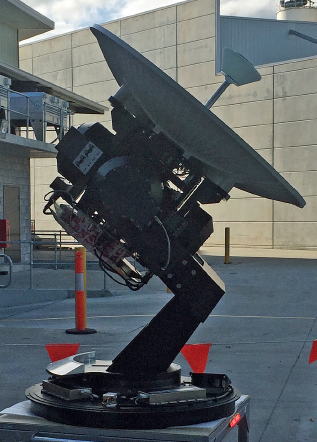 There is currently no other terminal in the market that offers universal on-the-move capability using simultaneous tri-band operation in a versatile footprint, bringing the benefits of assured communications whenever a satellite is visible without manual changeover of hardware. The new Cobra terminal will satisfy both WGS and Inmarsat specifications in Ka-band and be ready for deployment by the middle of 2016. 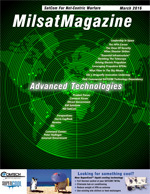 The advantages of a dual use terminal that can rely on the capabilities of the military constellation for normal operation but fall back to commercial operation when called upon, without interruption of service, are enormous, since it provides the redundancy required for mission critical communications. 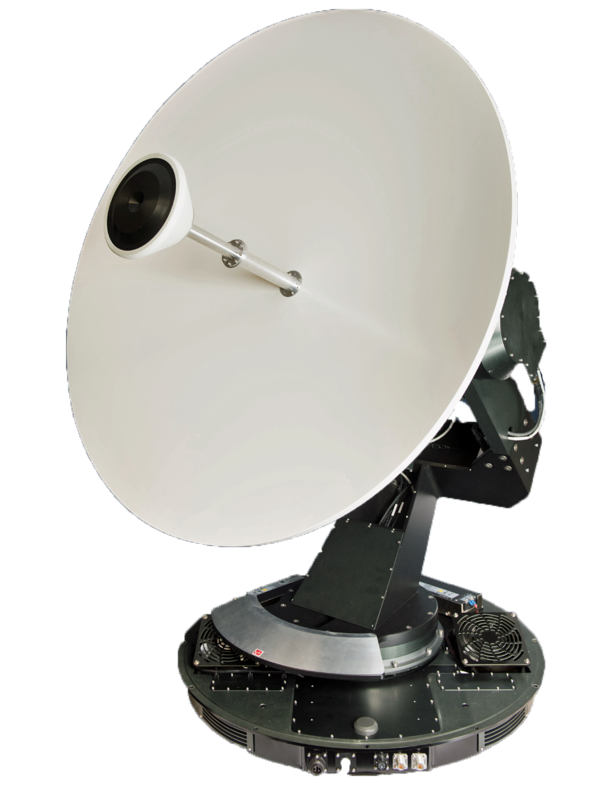 • All X-band and Ka-band electronics are integrated within the radome in a single RF “can”, avoiding the need for expensive and lossy waveguide runs to external equipment racks, and simplifying maintenance. To offer such a service, Inmarsat has partnered with EM Solutions to develop the world’s first combined MilSATCOM/Global Xpress (GX) maritime SATCOM terminal, which is initially being created for an Australian Government customer. EM Solutions has adopted an innovative approach to the development of its satellite terminals, adopting monopulse tracking techniques that provide exceptional accuracy and stability in addition to reducing the demand on motors and other moving parts, which minimizes power, weight and operational stress. 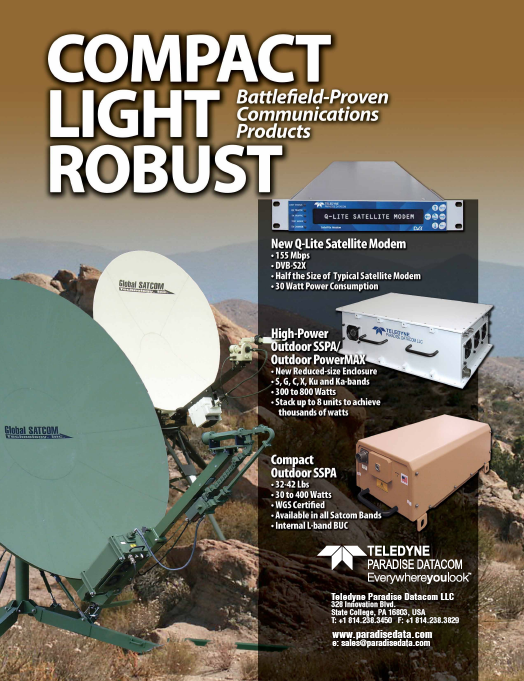 As a specialized developer of RF components and subsystems for the SATCOM industry, the new terminals make use of EM Solution’s Diamond Series Ka-Multiband Block Up Converters, which use the latest in Gallium Nitride (GaN) technology and cover both commercial and military Ka frequency bands in a highly efficient, single package. GaN devices are very robust, with good tolerance to high temperatures. They complement the robust packaging of the terminal itself. 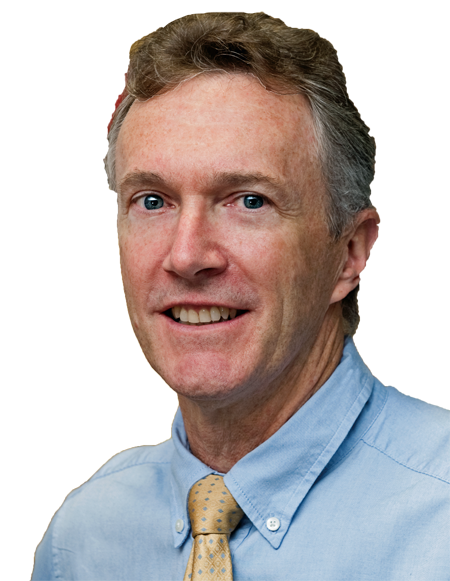 Rowan Gilmore is the CEO and Managing Director of EM Solutions Pty Ltd, an Australian designer and manufacturer of advanced microwave components, systems and terminals used in satellite and wireless broadband communications networks around the world. Until June 2011, he was CEO of the Australian Institute for Commercialization, where he helped numerous start-up companies and worked to accelerate technology transfer between research institutions and industry. Prior to this role, he worked extensively in the ICT industry, and was formerly based in London and Geneva from 1998 as Vice President of Network Services (Europe) for the airline IT company SITA, now France Telecom’s Orange subsidiary. He is an engineering graduate and winner of the university medal from the University of Queensland, and earned his Doctor of Science degree from Washington University in St. Louis in the US. He is a Fellow of the Australian Academy of Technological Sciences and Engineering, Chairman of the ARC Centre of Excellence in Engineered Quantum Systems, and holds adjunct professorships at the University of Queensland in both the School of Business and the School of Information Technology and Electrical Engineering.